New Print Shop! Just in Time for Christmas! After many years of intending to do so, I have created a Print Shop for my art. 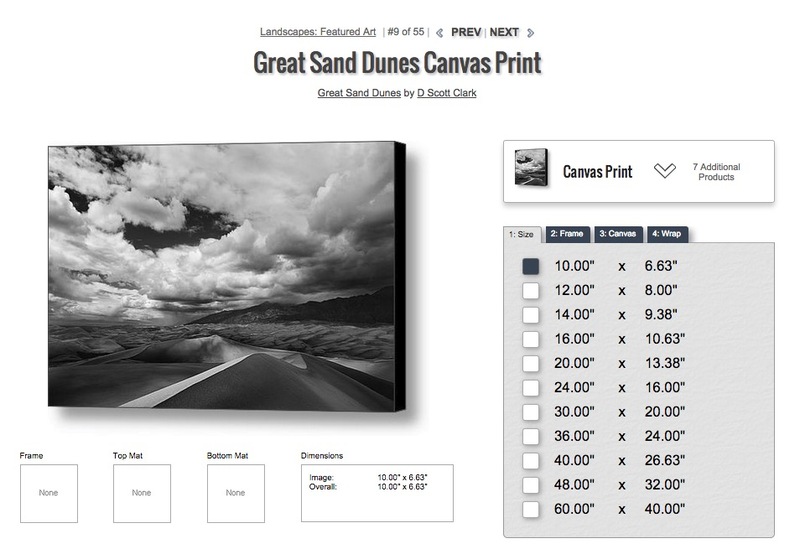 You can now purchase prints directly from a website that allows you to pick the size, what it is printed on, and where it is shipped. Can’t figure out what to get Grandma for Christmas? Get her a canvas print! Prints are available on archival paper, canvas gallery wraps, acrylic gallery standouts, metal prints, matted and framed, as greeting cards, and phone cases. Many of the photos on this new website have never been published or seen outside of my archives. They don’t really have a place on my portfolio website. I’m excited to give you the opportunity to print them for your walls. I’d love to hear your thoughts! From now until January 1st, get 20% off your order (does not apply to printing cost)!